But luckily, we’ve got our own thing going on. And for the past five years, our very own lit journal, The Bushwick Review. 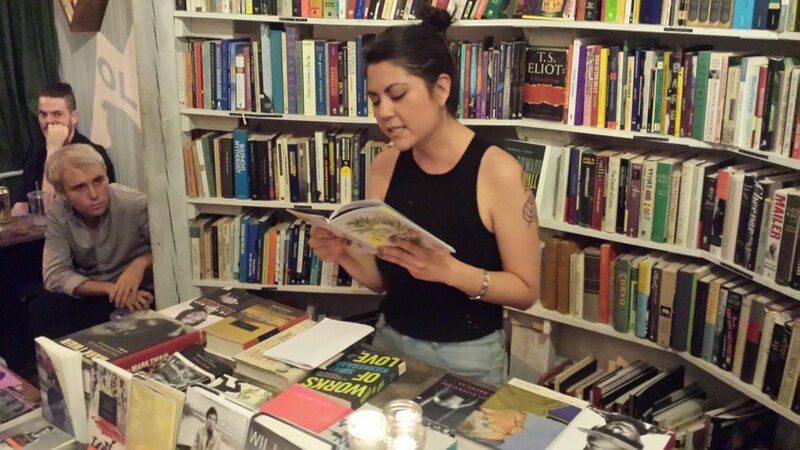 Last Saturday evening, The Bushwick Review launched its sixth issue at area stalwart Molasses Books (770 Hart St) among a crowd of 50+ cramming between shelves of small press offerings and signed copies of John Ashbery’s collected works. Journal founder Kristen Felicetti promotes the project as both a community and platform for local artists, but the issue also includes pieces from writers and artists outside the immediate area, including Colorado, LA, and Berlin. But if you were out for something closer to the grime of your (current) home, there was Mitchell Kuga’s wonderful “Frank Ocean Fan Fiction,” easily the best example of the emerging form of fictional narratives of aborted one-night-stands with the queer-identified, Grammy-winning R&B singer. “L.A Is pretty but everyone seems kind of desperate. Or at least people here are better at hiding it,” I said, striking a typical New York pose. This is the quintessential literary expression of the young and hungry: trying to Make It while just Getting By; wondering if maybe it’s all just a big mistake and you shouldn’t be somewhere sunnier and nicer-smelling; figuring out your own place in the aesthetic narrative shaped by Big Names dead and living. 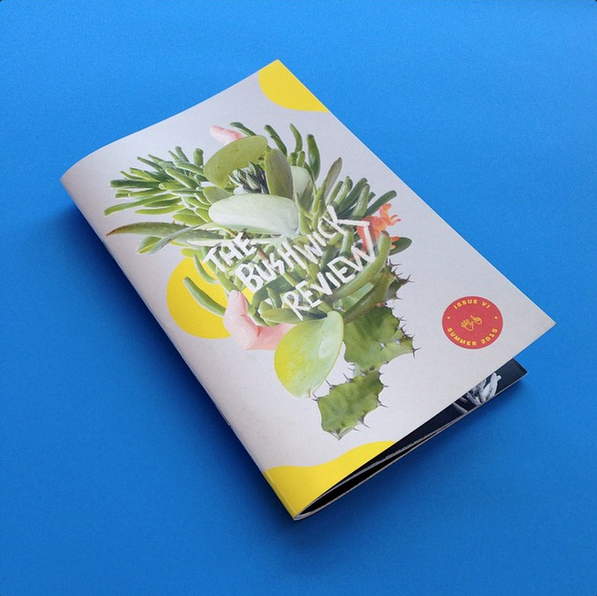 The Bushwick Review IV is available to buy online for $5.